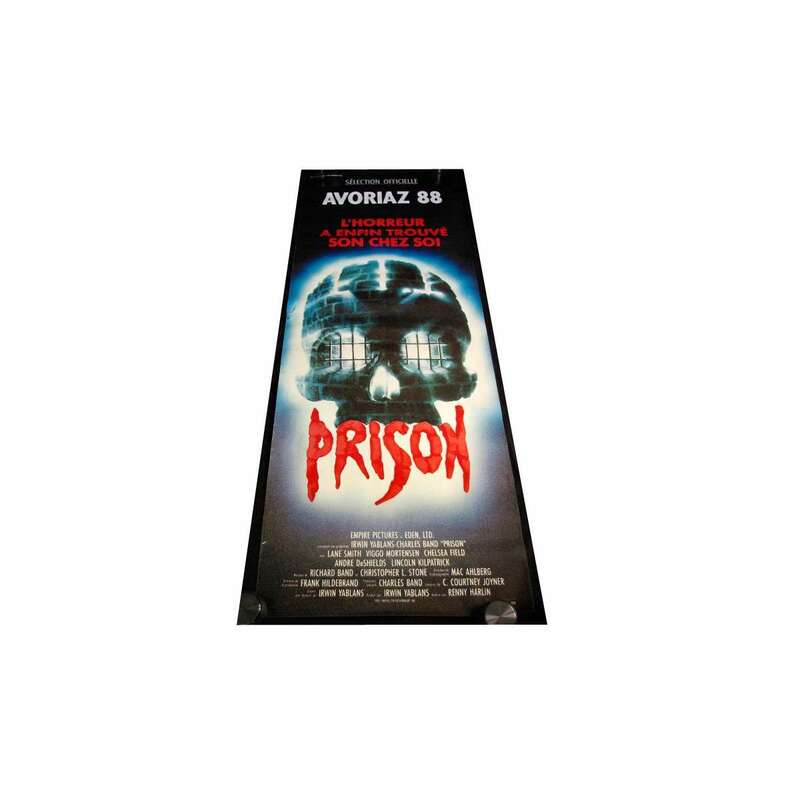 > Movie Posters>Film Posters>PRISON French door-panel '88 Renny Harlin, cool horror artwork of skull jail! PRISON French door-panel '88 Renny Harlin, cool horror artwork of skull jail! An Original Vintage Theater-Used Folded French Door-Panel "Pantalon" Movie Poster (1p; measures 23" x 61 3/4") Condition: Good to Very Good (C5) See our 10 GRADE SYSTEM Page for more information. Prison is a 1988 horror film directed by Renny Harlin, starring Viggo Mortensen. It was filmed at the Old State Prison in Rawlins, Wyoming with many of its residents on the cast and crew. It is the third film of Renny Harlin who is more known as director of A Nightmare on Elm Street 4: The Dream Master (Freddy Krueger), Die Hard 2, Cliffhanger, and Alien 3.